This case of SPAM® Brand products includes one 12 ounce can of each of the following flavors: Smoked, Bacon, Classic, Turkey, Garlic, Black Pepper, Jalapeno, Cheese, Teriyaki, Chorizo, Hot & Spicy & Tocino. 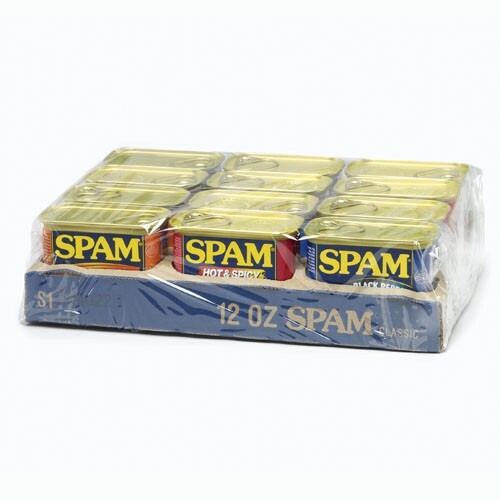 A great gift pack for the SPAM® Brand lover in your family! No substitutes can be made on this pack. Please note: we are unable to ship these products internationally.